"Welcome to Mobilis Home Health Store & Wellness Center"
Mobilis offers a full line of medical equipment and services to our customers. Whether you are looking for a manual wheelchair, bath safety products or looking to remodel your bathroom, we know we can be of assistance to you. We understand your expectations and we work hard to meet your needs with each and every conversation our staff has with you. We cover Iowa and central to eastern Nebraska. Providing the best, most appropriate equipment for the patient's needs. Ensuring Joint Commission Quality Standards are upheld at all times. Develop and maintain long term, mutually beneficial relationships with all customers, vendors and contractors. Fostering strong work ethics and teamwork for our patient's benefit. Having a positive impact in our community for those who may be disabled, restricted to their home or enduring health problems. 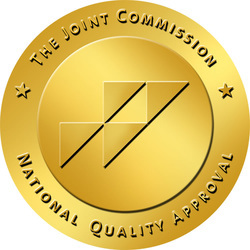 "We are Joint Commission Accredited"